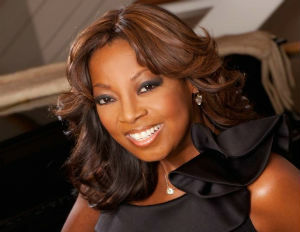 By the time Star Jones graduated from law school at the University of Houston Law Center in 1986, she had $75,000 in student loan debt and all her credit cards were maxed out. “When I was in college, they were giving out all of those free credit card offers. It was like they were giving out free money,” Jones recalls. She was also struggling with the all-too-human inclination to “keep up.” “I was trying to keep up with the Joneses, and the Joneses didn’t have any money,” she adds. Jones was a prosecutor with the Kings County District Attorney’s Office in Brooklyn, New York, until 1991, the same year she began her television career on Court TV. She also became a correspondent for NBC’s The Today Show and NBC Nightly News, and led the coverage of the O.J. Simpson murder as a legal analyst for Inside Edition. Then, in 1997, she became one of the original four co-hosts of daytime ABC talk show The View. Now sitting atop the corporate ladder as president of the National Association of Professional Women (NAPW), which trades on the NASDAQ stock exchange under the symbol IPDN, Jones understands the financial implications of the opportunities that came her way. “Financially, I got a second chance,” says Jones, who paid off all of her student loans and credit card debt in 1992. She didn’t just change her finances, she changed her financial behavior, avoiding the trap that many who come into money fall into—making the same mistakes with bigger sums. For Jones that meant no looking back. No more credit cards—with the exception of a card she has to pay the full balance on every month—and no more debt. Jones says she hopes her story can teach others in the black community that they can make different choices. 1. Debt Snowball: Arrange your debt in order of balance, from lowest to highest. Start by power-paying the lowest account balance until it is paid off, while making minimum payments to the others. Once the lowest debt is paid off, allocate your money to the next largest balance. This can be very motivating for those who need to see faster results in order to reach their goal of debt freedom. 2. The Ladder Method: This method involves prioritizing debt in order of interest rate, from highest to lowest, without regard to the amount owed. Start by allocating all extra money toward repayment of the debt with the highest interest rate while making minimum payments to the rest. When the highest interest debt is gone, all money should then go to the account with the next highest rate. The ladder method is often promoted as the one that saves the most money over the long term, because high interest rate debts are eliminated early. While there are no guaranteed results, negotiating fees and interest with a creditor can make a big difference in how fast a debt is repaid. This can also result in hundreds and even thousands of dollars in savings over the long term.